Just three minutes from the UN complex/ US Embassy, Rurigi house is a serene environment for those who desire alternative accommodation from the conventional hotels. Spacious rooms and great hospitality at Rurigi House you'll truly feel at home. Rurigi house is a modern house set in an idyllic part of Nairobi, Gigiri. Gigiri is a fifteen-minute drive from the city centre and is the favoured locale for International organizations such as the Africa regional headquarters of the United Nations (UNON) including the UNEP, UNDP, UNESCO, WFP, Habitat etc. The US and Canadian embassies as well as a host of other diplomatic corps and corporate executives are also resident here in Gigiri. It is an urban area with access to modern facilities such as the prestigious Village Market shopping complex with plush restaurants, banks, cinemas and many more social amenities. 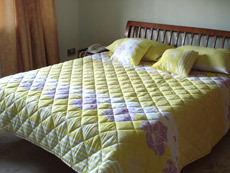 It is a big house with modern fittings, designed to offer comfort and warmth to every guest. 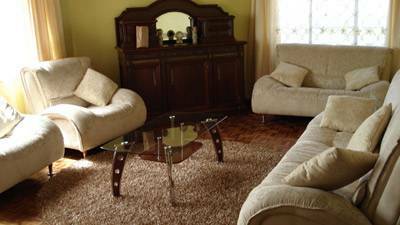 It is also tastefully furnished with parquet flooring and ceramic tiles for wet areas. It is positioned such that it allows enough morning light to filter into the rooms and this makes it very comfortable and relaxing too. 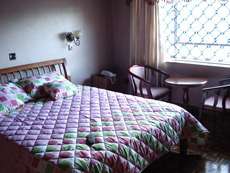 All rooms are self contained and have a TV(connected to DSTV). Wireless Internet is available in the house and garden as well as a PC available for use. 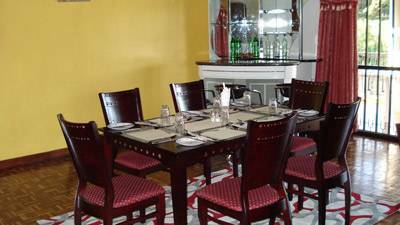 Other meals like lunch or dinner are also available on request and are reasonably priced. Just across from the UN complex are a number of convenient facilities like restaurants, forex bureaux, and other shops. The Village Market shopping mall has several restaurants, banks, cinemas , craft market(on Fridays) and shops, galleries, and many more modern social amenities. All come with their own toilet and bathroom. Four have both a bath tub and a shower, the other four have a shower only. Spacious kitchen where you can do your own cooking if you wish. 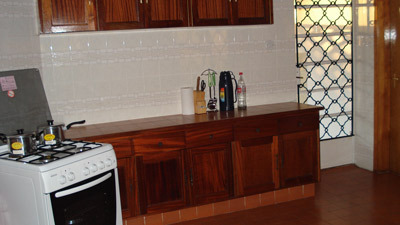 A kitchenette availale too. We're situated in a most secure area of Nairobi that hosts several diplomatic missions and residences including the American Embassy. Five minutes away from the prestigious Village Market shopping mall. Mainly seafood but other options available too. Gigiri area: After the UN/American Embassy, take the second turn to your right into Daisy drive, then left into Camelia close. It's house number 79 straight on.